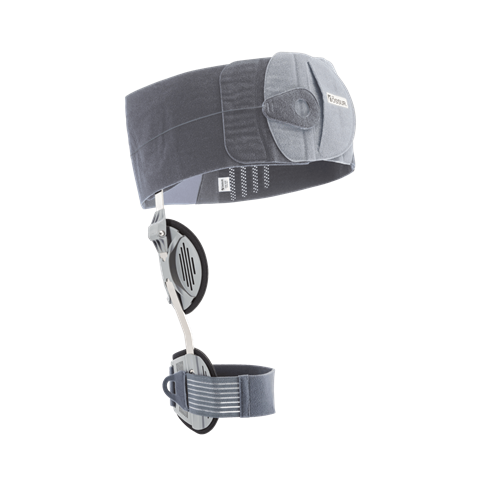 Össur’s Rebound Hip brace delivers gentle controlling forces and effective functional ROM restriction in extension/ flexion and abduction/ adduction to promote optimal post-surgical outcomes. The low-profile, lightweight design supports patient comfort and compliance. The universal frame and softgood are easy to stock, assemble and quickly fit. OR Kit offers patient protection of ankle and perineum skin during intraoperative traction on a surgical table. Post-operatively, the pad and foot protectors offer comfortable protection from external rotation during sleep.